If you grew up with a pet, you probably considered that animal a true friend: playmate, confidante, dress-up pal. In a child’s eyes, a pet is a true member of the family—and new research suggests that kids in turmoil rely on their pets even more than they do their siblings. It also sheds light on the unexpected ways that animals boost kids’ social skills and confidence. The findings come from Matt Cassels, a Ph.D. psychiatry student at the University of Cambridge. He analyzed the data from a 10-year longitudinal study called the Toddlers Up Project, which examined the social and emotional development of kids from age 2 to 12. Cassels' study focuses on children with low cognitive skills and their relationships with family, peers, and teachers—and with their pets. Cassels’ research revealed that pets have profound and perhaps unexpected effects on kids’ social skills. Unsurprisingly, children in the study who faced hard times—their parents’ divorce, tough home lives, or illness—tended to perform poorly in school. But these kids were also more likely to rely on their pets more than their peers for support. Kids with pets, especially girls with dogs, confided in their pets more frequently than in their own siblings. "It is really surprising,” Cassels says. "They may feel that their pets are not judging them, and since pets don't appear to have their own problems, they just listen. Even confiding in a journal can be therapeutic, but pets may be even better since they can be empathetic." Kids who bonded strongly with their pets were also better in social situations, helping others, cooperating, sharing, and interacting. Connecting with a pet bolstered their ability to connect with people. Cassels' research suggests our bonds with animals can be viewed as just as important and measurable as our relationships with other humans. Previous studies have shown that pets help children with autism demonstrate stronger social skills, especially if these animals are dogs. 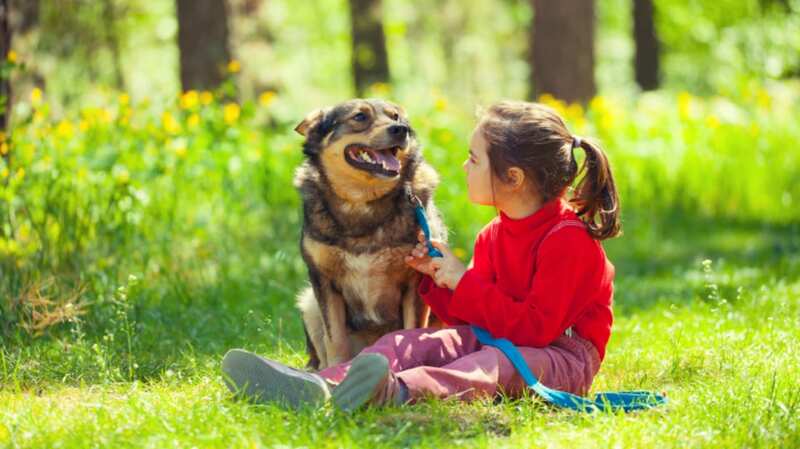 Children who regularly interact with dogs are better at introducing themselves to others and responding to social prompts. Pets have also been shown to boost compassion, self-esteem, and reduce stress in kids. But Cassels believes more research needs to be done to figure out exactly how close bonds with furry friends impact young people. "Pets are relatable and ubiquitous," he says. "In the U.S. and England pets are more common in families with young children than resident fathers, and yet we don't quantify how important they are to us."